Learn basic hula in our beginner classes. Each class is progressive to the individual, so drop in at any of the scheduled classes and build on your own skills from the previous week. 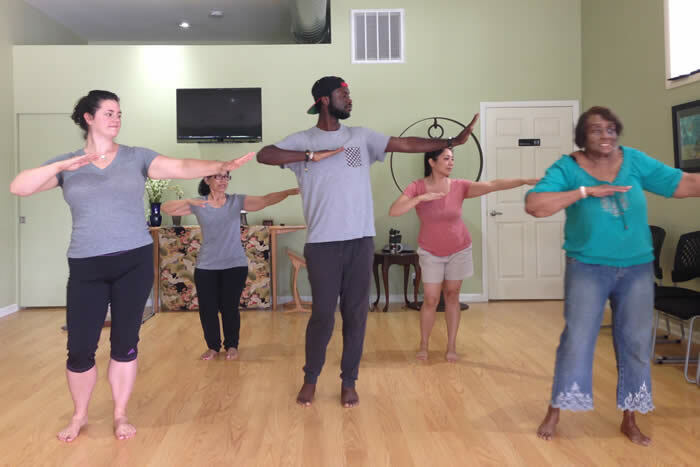 While each class is different, we will focus primarily on footwork, then hand motions, and then begin to integrate hands with feet in a basic hula. Come prepared to have fun! Open to women and men aged 16 and older. Cost: $20/class or 4 classes for $70. Bring payment of cash or checks payable to “Zen Life & Meditation Center” to class.